Bark: The bark of tree-of-heaven is smooth and green when young, eventually turning light brown to gray, resembling the skin of a cantaloupe. Leaves: Pinnately compound, leaves come from a central stem with lance shaped leaflets on either side. Seeds: Found on female trees only. Samara or wings 1-4 inches long. 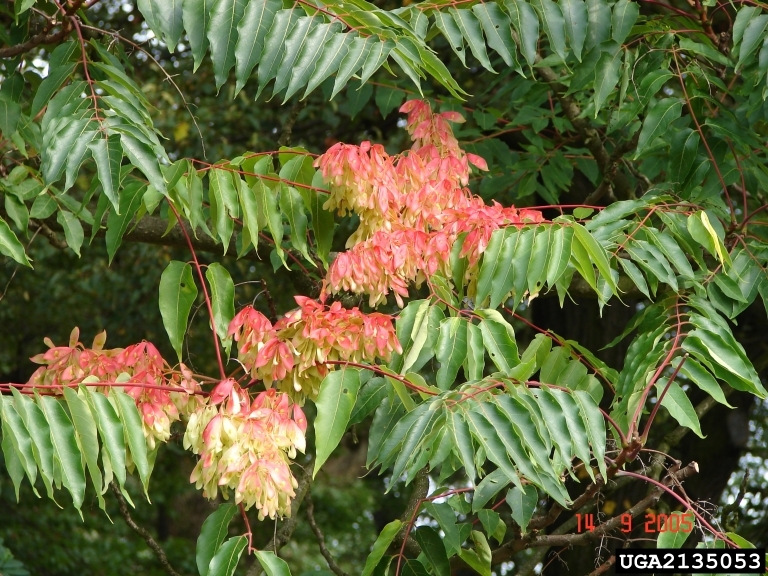 Tree of Heaven can be male or female. One female tree can seed up to 300,000 clones. It produces allelopathic chemicals to prevent other plants from growing near it. Tree of Heaven will grow anywhere that isn’t shaded. Not typically found where canopy is dense. Invasive plants easily grow in our native environment because our environment lacks the predators and pests that control the invasive plant in its natural environment; thereby, causing major disruption in our native ecosystem. 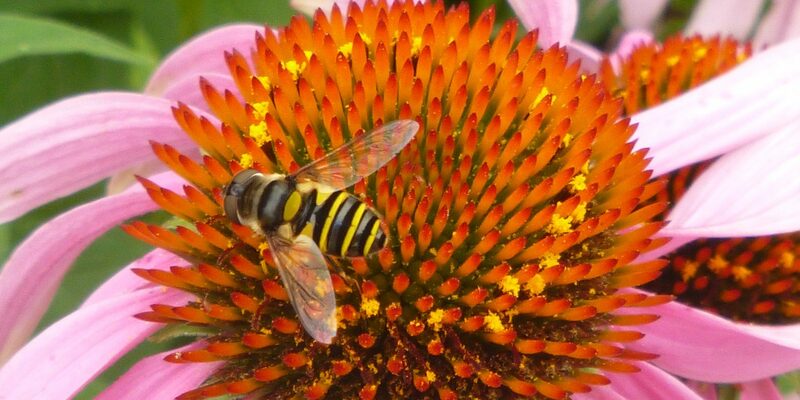 Native plants lose ever diminishing real estate leading to a lack of biodiversity and habitat degradation. Invasive species also threaten endangered species. Around 42% of current endangered species are endangered due to invasive species (2016, Wisconsin DNR). This Fall FLMR will be hosting Pollinator Habitat Workdays at the Luke Chute Conservation Area located 5 miles from the SR 266 and Route 60 junction. Five miles before Stockport, OH. 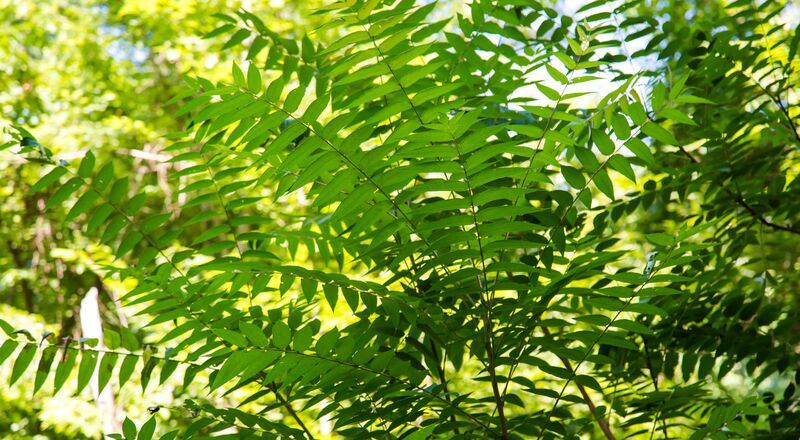 We will be removing Tree of Heaven from 9AM-12PM on Sept. 22, Sept. 27, and Oct. 27th. “We will mostly be dealing with small saplings in sandy soil, so we will mainly be pulling or digging them out. On larger trees we cut them down and paint the stump with an herbicide. We prefer not using herbicides, but tree of heaven will often send up multiple roots sprouts for years if you don’t kill the root system. It’s possible to eventually kill the root system by continually cutting the root sprouts until you exhaust the reserves in the roots, but this isn’t always practical as it takes much more work and won’t be successful unless you are diligent”, Katy Lustofin, FLMR President and Professor of Biology at Marietta College.